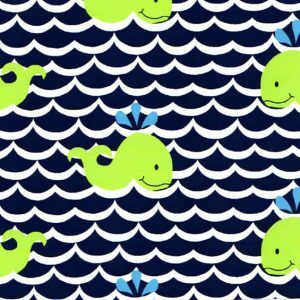 Have you seen our whole collection of whale fabric?! 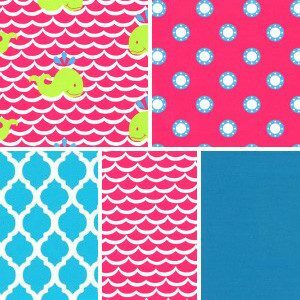 All of our fabrics have great coordinates, and are perfect for your next clothing project. We can often ship our fabric same-day when ordered during normal business hours! 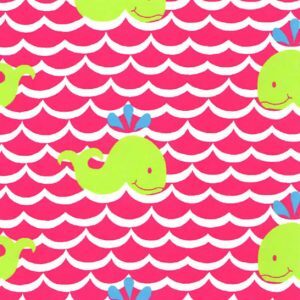 Customers use our wholesale fabric for adult/children’s clothing design, bedding manufacturing, and other creative uses. 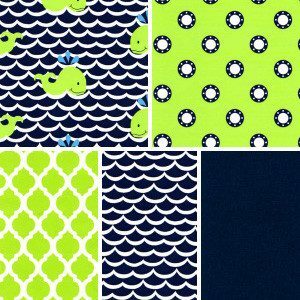 Colors in these fabrics include green, navy blue, pink and more. Click each fabric link for more information and coordinates!